BodyBoom is a producer of No.1 COFFEE SCRUB in Europe, based in Poland. Thanks to natural ingredients and innovative marketing strategy within a few months our products became one of the most desirable lifestyle cosmetics in the region. Due to a special formula BodyBoom cosmetics perfectly smoothen skin, fight with cellulite and stretch marks, but above all they leave skin beautiful and moisturized like never before. The unique grained structure makes it even 5x more efficient than other standard scrubs available on the market. Caffeine contained in the scrub helps to get rid of cellulite, extra skin folds and figure imperfections. 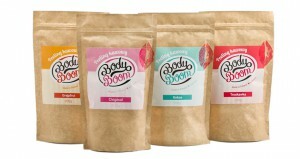 Superior quality and social media communication of BodyBoom Coffee Scrub has been recognized by thousands of customers and most influential beauty bloggers and magazines.